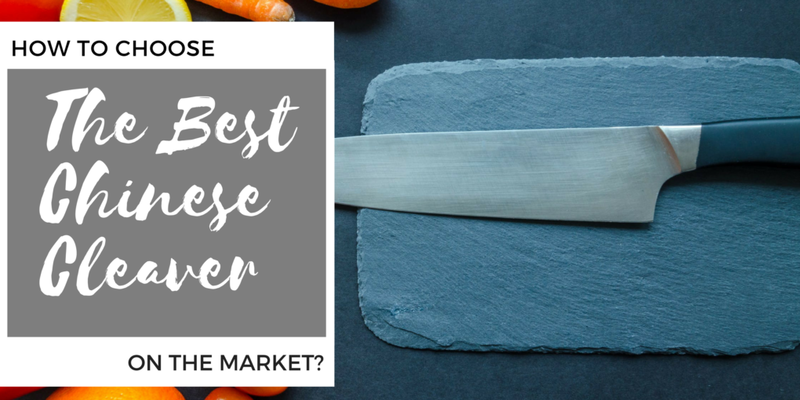 →How To Choose The Best Chinese Cleaver On The Market? When buying a cleaver, ensure that you choose a full tang. The partial tang cleavers may break at where the handle meets the blade. This may be dangerous. A strong cleaver will make your work easier in that kitchen and save you time and money. Most of the cleavers are made of high carbon steel and the stainless steel. Some of the cleavers have a mix of these two materials. The carbon steel is not resistant to corrosion. This may add an awful taste to the food that you are preparing. Most cooks prefer the cleavers that are made of stainless steel. A smaller cleaver may not be versatile. Choose a medium blade which will be easier to use. 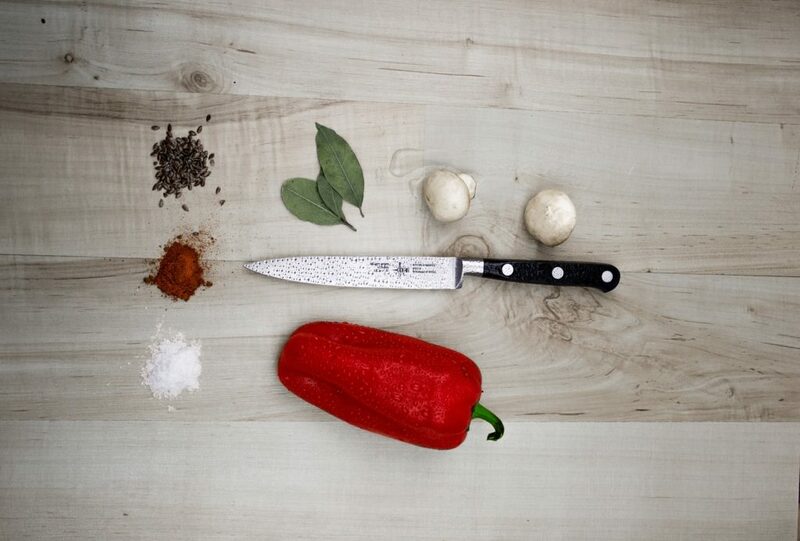 A 7-inch blade is ideal to perform most cutting tasks in the kitchen. The knife should not be too long or too short. The thickness of blades varies from one cleaver to another. This makes them different. The blades that are thin can be used to prepare vegetables. The edge can be damaged if you are chopping a bone. When preparing bones and meat, use a cleaver that has a thick blade. 8mm of thickness will be ideal. You can also choose a cleaver that can be used to perform all the tasks. This will depend on your preferences. The handles are made of steel, wood, or molded plastic. The wooden handle is beautiful. The handle you choose should be resistant to slip. This will make your work easier and simple. You can get a good cleaver within your budget. Some of the cleavers are relatively expensive. Choose a knife that you can easily afford. You can also consider how often you will be using the cleaver. It will be performing various tasks every day in the kitchen, ensure that you choose the best. The following are some of the best Chinese cleavers that you can consider on the market. If you have a tight budget, this knife is affordable. 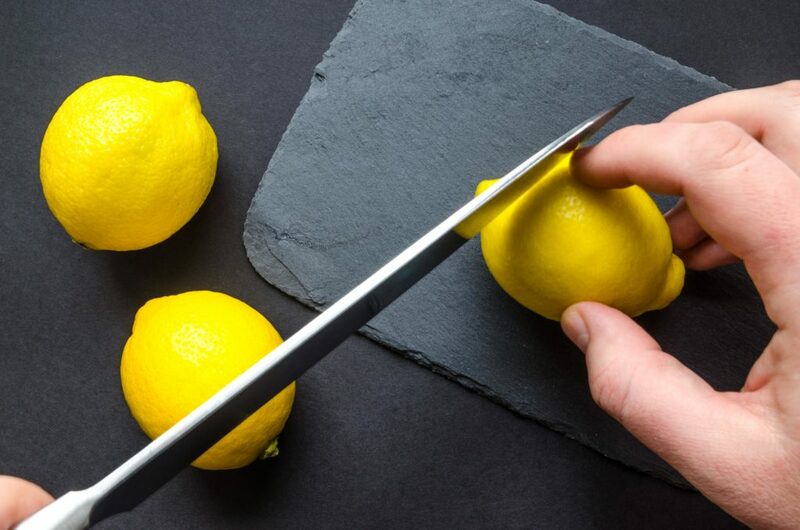 This will help you to cut your ingredients like a professional. The knife has a blade that made of stainless steel that is ice tempered. The edge is sharpened and can make a precision cut. The hollow ground ensures that food does not stick on the blade. The handle is made of stainless steel and bonded with seamless and polished bolsters. It is non-slip. This makes it comfortable and secure to grip. The surface is etched with a laser. You easily use the knife. The blade is 7 inches long. The knife is very sharp. It can cut through the bone and joints of a chicken. It is ideal for heavy cutting tasks. The notches ensure that the knife does not slip off. It can be washed safely in the dishwasher but hand washing is highly recommended. The handle is not designed well. It may feel too small when wearing gloves. It is heavier when preparing meat or vegetables on a regular basis. The knife is versatile with high performance. The blade is 7 inches long. It is ideal for cutting through the tough meats. It can also be used to dice, mince, and cut vegetables. You can also use it to remove skin from the fish. The blade is heavy and sharp. It is made of carbon stainless steel that is of high quality. The material goes through the process of forging to maximize the sharpness of the blade, retaining the edge, and the ability to resist corrosion. The knife can withstand heavy and tough uses. It can be used in the restaurants easily. If you will not be satisfied with this cleaver, you will be offered a full refund of your money. The performance of this knife is excellent. It is tough and durable. It is made of carbon stainless steel that is of high quality. The sharpness is maximized, the edge is retained, it has the ability to resist corrosion. It has a full tang. This gives the knife a robust feel and makes the knife safer. The handle has the tapered bolster to make it more ergonomic. The Pakka wood handle is triple-riveted for more comfort and ability to control. The blade is tapered. It can be used to slice into thin pieces. You can also use it to remove skin from the fish. It cannot be able to cut through very hard foods. This knife is for home use or restaurant. It is a multipurpose knife. You can use it for slicing, mincing, dicing, chopping, and other cutting tasks in the kitchen. 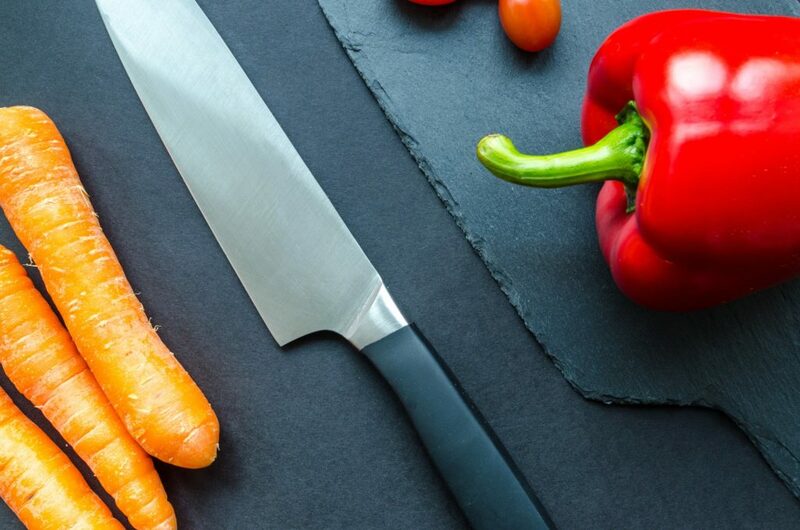 You don’t have to use different knives when preparing meals. This knife is convenient. Its sharpness can cut through meat easily. This will save you the time of butchering the meat using a heavy knife. It has a handle that is made of wood. This makes the knife safe and tender for use. It is antibacterial. The knife is not heavy. This increases the cutting speed. It is resistant to rust and it can be used easily. Its sharpness can last for a long period of time. This is a versatile knife. You can use it for slicing, mincing, dicing, chopping, and other cutting tasks in the kitchen. Its sharpness can cut through meat easily. This will save you the time of butchering the meat using a heavy knife. Its sharpness can last for a long period of time. The handle t is made of wood. This makes the knife safe and tender for use. The performance is excellent. This is because it is lightweight and very sharp. It can chop the veggies and meat into small cubes which can be managed easily. It is made of carbon stainless steel that is of high quality. This makes it resistant to rust, can be maintained easily, the edge and the sharpness can be retained for a long period of time. The knife can be cleaned easily using mild detergent and clean water. This can be a perfect gift for those who love cooking. It comes with a gift wrap. If you don’t like the knife, you can get your full money back. The edge can get dull quickly. The blade is too thin. It cannot be able to handle bones. You cannot clean it in the dishwasher safely. This is a heavy-duty knife made of stainless steel. It can be used at home comfortably. It is a multipurpose knife. The knife can cut through large pieces of food easily. It can be used for chopping, cutting, and cleaving. The handle is ergonomic, you can securely grip it. The blade can retain its sharpness for a long period of time. This ensures that the cutting performance is excellent and long lasting. It is designed to perform tough tasks daily in the kitchen. It can be washed in the dishwasher safely but hand washing is highly recommended. The blade of this knife is very sharp. It can cut through pieces of foods with precision and ease. The blade can retain its sharpness for a long period of time. This ensures that the cutting performance is excellent and long lasting. The cleaver is sturdy and durable. It is constructed to last a lifetime. It is made of stainless steel that is of high quality. It is resistant to tarnish, rust, and corrosion. The handle is ergonomic. It can be gripped safely and comfortably. You will not experience any wrist tension. The knife can be washed easily by hand. This will ensure that quality of the blade is retained. 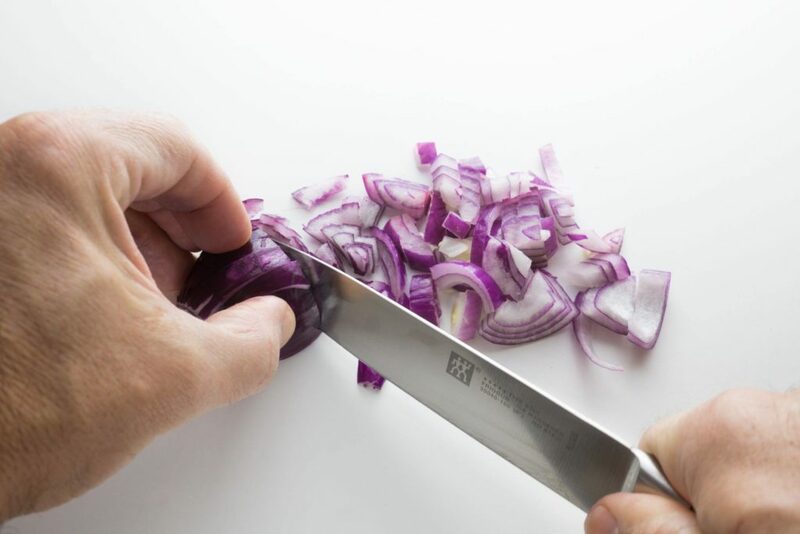 It is easier and simple to use when cutting vegetables, meat, fruits, and other foods. It is relatively cheap as compared to other cleavers. It is affordable. The knife may rust and get dull. It very sharp. You use it with care or chop your fingers. This cleaver is 7-inch. The blade is made of carbon stainless steel. It has a design that is full tang. The handle has 3 rivets to make it stable and sturdy when in use. It can be washed in the dishwasher but hand washing is highly recommended. The knife can be handled comfortably. The construction is of high quality and it is very sharp. It is convenient in the kitchen. It can be used to perform various tasks in the kitchen. This can be a great gift to a friend or somebody who loves cooking. It has a lifetime warranty. For consistency and sharpness, the knife is ice hardened and the edge is controlled by the laser. It is not designed for deboning. It can be used for chopping tasks, dicing vegetables, fish, and meat. it is also ideal for diagonal cuts. Edges are laser controlled and the blade is durable. This ensures that the performance is excellent. The blades are made of carbon stainless steel of high quality. The knife is honed during the process of production. The handles are designed to fit in medium and small hand hands comfortably. The handle has 3 rivets to keep the blade and the handle secure. The full tang ensures that the cleaver is durable and strong. Hand washing is highly recommended. This will help to maintain the quality of the blade. 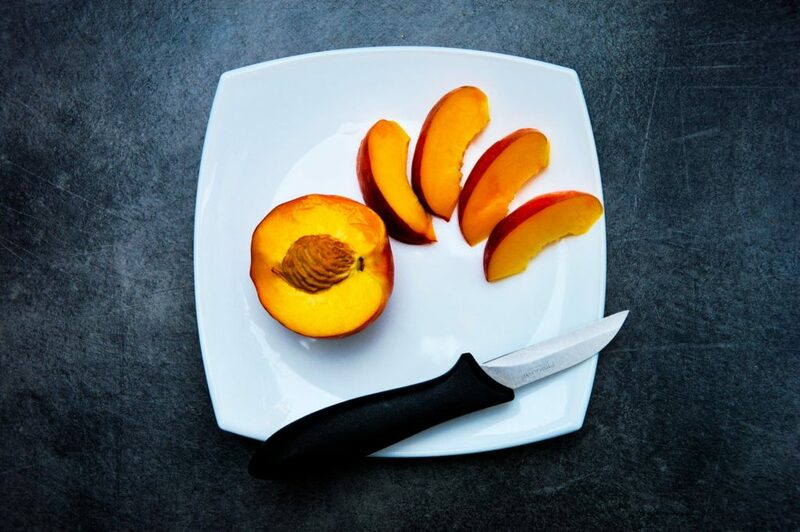 The back of the blade has very sharp edges which may cut your fingers when pressing it on hard foods. It is not designed for breaking bones. It may break is it not handled well. All the above Chinese cleavers are good, but I like the LedgeON Professional Cleaver. The knife is versatile with high performance. The blade is 7 inches long. It is ideal for cutting through the tough meats. It can also be used to dice, mince, and cut vegetables. You can also use it to remove skin from the fish. The blade is heavy and sharp. It is made of carbon stainless steel that is of high quality. The material goes through the process of forging to maximize the sharpness of the blade, retaining the edge, and the ability to resist corrosion. The knife can withstand heavy and tough uses. If you will not be satisfied with this cleaver, you will be offered a full refund of your money. It has all the qualities that I may want. When looking a cleaver ensure that you choose the best. It should be sharp and easy to use. It should be able to satisfy your cutting needs in the kitchen. You can also check on how to choose the best fish ﻿﻿﻿fi﻿﻿llet knife﻿﻿﻿﻿﻿﻿﻿.